Larry helped us in picking out our car. Such a nice guy. Larry and Dave helped us get the car I wanted. Love the car. Service people are great. Went back to get my title and ask about getting the keyless code. Service had it in no time while we talked to Ed. This is truly a group of great people. I felt very welcome everytime. I have read good and bad reviews here. But the good outweigh the bad and you cant please everyone. And some people nothing you can ever do to make them happy. I am very happy with my car. And everyone has treated us just fine. I personaly would recomend them any day. Great people to talk to. Knowledgeable. Definitely a contender when getting a like new vehicle.  I have purchased numerous vehicles from Smiley Automotive and I get all my services done there. I can't say enough about the quality of both! Their outstanding knowledge and friendly attitudes are top notch! I highly recommend them to all. I apologize for the length but this story must be shared about the great people and service at Smiley Automotive. I was looking at a vehicle at another dealership, negotiating the price. Meanwhile I went online to compare this vehicle to others and I noticed Smiley's had the exact vehicle online for $1,900 less, then the one my wife and I were looking at after negotiation. I went outside and called to see what the deal was with the vehicle at Smiley's. I spoke to Chas Smiley, he gave me the entire history of the vehicle and I explained that we were from Cincinnati and we liked the car but we didn't want any surprises if we drove 4 hours up to Norwalk. At that point Mr. Smiley told me he would go walk around the vehicle himself and call me back with every detail. A few moments later I received pictures from him of the tire depth, a small rock chip in the front bumper, a few other minor scratches as he called them, and their inspection report of the vehicle. We decided it was well worth the drive so we went to look at the vehicle. The vehicle was in excellent shape and if they didn't point the chips or minor scratches out my wife or I wouldn't have noticed either of them they were that small. They never rushed us or made us feel out of place, if anything they took us in like we were family, we even ate lunch with them. My favorite car buying experience ever, I now know why they say they make car buying easy. Because they do. Thank you all so much, we couldn't be happier and we will drive 4 hours from now on to purchase our vehicles from Smiley and his team. 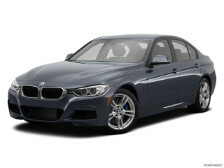 Very friendly and knowledgeable staff, always a pleasure dealing with Smiley Automotive. Chas Smiley and his staff are the best at taking care of their customers, you really do feel like family when dealing with them. Seriously the best dealership in the area, everyone is so nice and genuine, you rarely find that in dealerships today. Great selection and they will help you as best they can with whatever you need! I would definitely recommend smiley automotive to anyone looking for a car. Best place to buy a vehicle!! Friendly people and wonderful deals!! 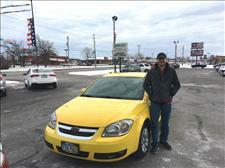 Love Smiley Automotive, best place to buy used vehicles or get your vehicle serviced. Friendly people and excellent prices :). Ricky Webb Smiley you are great. Treated me very well and Thank You. ?? Dawn Steffanni: We love our truck!! 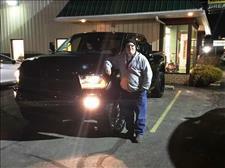 Thanks so much for listening and finding a perfect truck for us!! David: Your company is great, and the car is running great. Thanks Tyler for everything. ?? THANK YOU, THANK YOU, THANK YOU, SMILEY'S AUTO AND YOUR ENTIRE TEAM! YOU NOT ONLY MADE OUR DREAM COME TRUE IN GOING ALL THE EXTRA MILES TO MAKE SURE WE GOT OUR DODGE JOURNEY...BUT YOU ALSO MADE US FEEL LIKE PART OF YOUR WONDERFUL FAMILY! WE WILL RECOMMEND YOUR DEALERSHIP WITHOUT HESITATION TO OUR FRIENDS AND RELATIVES! CORY, I UNDERSTAND THAT YOU ENGINEERED OUR SALE AND WE ARE EVER SO GRATEFUL! THANK YOU FOR TREATING US WITH RESPECT, KINDNESS, AND PATIENCE...WE ARE NOW DRIVING OUR DREAM MACHINE THANKS TO ALL OF YOU AND WE LOVE IT!! GOD BLESS EACH AND EVERY ONE OF YOU! READERS...IF YOU NEED A CAR...MAKE THIS YOUR FIRST STOP! YOU WILL NOT REGRET IT! 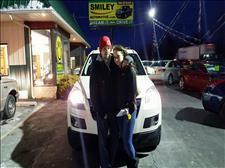 Have purchased many vehicles from Smiley Automotive since they opened their Norwalk dealership almost 10 years ago. Have never had a mechanical issue with any vehicle I purchased and any small fixes that needed addressed (missing knob, etc.) they have always handled right away. I normally don't buy vehicles off the lot so I really enjoy that they offer a locator service that allows me to give them my needs/wishes then they go out and find the vehicle that I desire. I do all of my maintenance & repair at Smiley as I've found their techs to be extremely thorough and keep my car running smoothly. Free Coffee, Donuts, Popcorn and Dogs are a BONUS!! Smiley Automotive is the best! Great selection, great sales associates, excellent service department and great "after the sale" service. I highly recommend this dealership! At Smiley Automotive we are proud of the quality used cars we sell and our dedication to serve the needs of our customers. This is reflected in the amount of repeat business we receive. Whether this is your first purchase with us or one of many that you’ve had, you can count on our dedicated sales staff to make it the best buying experience possible.